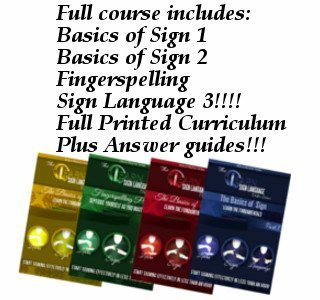 Online American Sign Language courses have never been this easy or affordable. A friend or family member who is Deaf, a church interpreter you see on Sunday, the idea of learning a new language all together — there are many different reasons you might decide to learn American Sign Language, all of them are beautiful; just like ASL! There are many different ways to learn American Sign language. You could go to your local college or university and take interpreter courses. You could look online for guides and tutorials. You could join the local community and spend time communicating — practice makes perfect! One of the best and most convenient ways to learn American Sign Language is with the American Sign Language video series which highlights all the core aspects of learning sign language in an easy to use and follow at-home video series.